The FL-1000 series has been discontinued. Please consider the FL-2000 for possible alternatives. Advanced concepts and design at a very low cost – that’s the OMEGA™ FL-1000 Series of flowmeters, made of high-impact polycarbonate. These units are designed to provide a practical approach to low flow rate indication of non-corrosive liquids and gases at the lowest possible cost. The FL-1000 Series flow meter is equipped with a standard flow control valve. 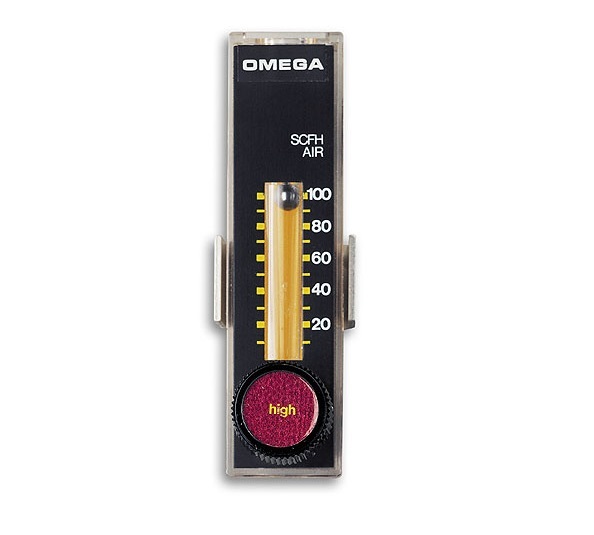 The FL-1000 flowmeter features a single unit polycarbonate tube, bezel and integral float stops for high impact resistance, with easy-to-read design, and ribbed tube construction for increased performance. Ideal for low flow measurements.